For many, particularly millennials, homeownership represents much more than a financial investment. In a recent Homes.com survey on millennial attitudes toward home-buying, 74 percent of millennials equate homeownership with stability. Although it will likely take them longer to meet their goal, 68 percent of millennial respondents said they’re likely to buy a home at some point in the future, the survey found. Whether it’s too much debt, a lack of savings or a roving lifestyle, there are several reasons why potential homeowners might want to delay a home purchase. Here are four of them—and advice on how to overcome these obstacles. 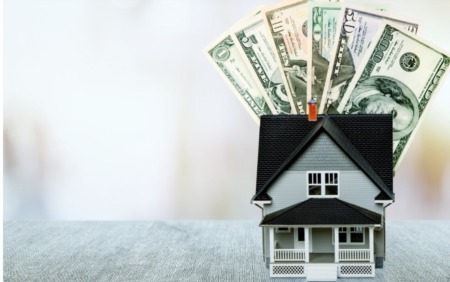 Your credit history and credit score are closely linked to the mortgage pricing you’ll receive—and that impacts your monthly payments for the life of the loan, says Dan Green, CEO of Growella, a mortgage news and advice website. A good starting point is to give yourself a credit check-up to see where you stand. Let’s do a quick calculation for two borrowers applying for a 30-year, fixed-rate mortgage for $300,000 with 10 percent down. Jen has an excellent credit score and was offered a 4.75 percent interest rate, and Sarah, who has a lower score, was offered a 5 percent interest rate. Sarah’s monthly payments are roughly $41 more than Jen’s, but where she really gets dinged is in overall interest paid. She’ll pay nearly $15,000 more in interest of the loan’s lifetime because she didn’t get a lower interest rate. If you’re someone who moves frequently, buying a home might not make financial or practical sense. Lifestyle plays a huge role in the decision to rent versus buy, Smith says. Remember that the bigger the house, the more maintenance and upkeep. If you want to keep things low-key, buying a condo or continuing to rent might make more sense until you’re ready for more responsibility. How to overcome it: Take time to consider your lifestyle factors that impact your housing choices, including whether you plan to move around a lot, your ability keep up with and pay for ongoing maintenance, your commute and current or future family needs. And take care with buying a house with a partner if you don’t share similar financial and life goals, Beeston says.